Sifu Matthew Cohen is the founder and creator of Sacred Energy Arts: a unique, integrated system of health and self development drawing from the teachings of yoga, qigong, and martial arts. Matthew developed this method after discovering that even though yoga, qigong, and the internal martial arts each stand alone as great health systems, that something powerful and transformative emerges as the practices join. Together they compliment each other to create a complete practice. Matthew has been fully immersed in the study and application of Martial, Yogic and Healing Arts for over 30 years. At a young age Matthew instinctively gravitated towards yoga, discovering the hidden secrets within the breath, balance, and strength of the poses. Matthew’s practice continued to grow, obtaining certifications in Ashtanga under Tim Miller and Hatha Yoga under Max Strom, Sarah Powers, and Saul David Raye. 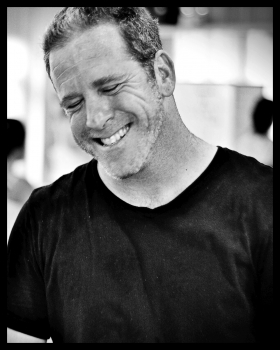 Matthew has the highest Yoga Alliance certification as an E-RYT® 500 certified teacher. At 12-years-old, Matthew began martial arts training at Kam Yuen’s School of Tai Mantis Kung Fu, eventually earning the rank of 5th degree black belt. He went on to attain the title of Guru in Kun Tao Silat under the masterful Willem de Thouars. Inspired by these teachers and their ability to draw great inner strength from these practices, Matthew went on to study the three great internal martial arts of China: Tai Chi, Xing Yi, and Ba Gua. Matthew had the good fortune to train many hours privately in China with the renown grandmaster Duan Zhi Laing. There he received the masters blessing to share his style of Primordial Chaos Qigong. He then studied under Liu Xuyang in Neija, Ba Gua, and Xing Yi. Matthew earned a position as a 6th generation teacher in the lineage and only person recognized to teach his style in the United States. Today Matthew is a highly sought after master teacher of Tai Chi as well as Qigong: The art of energy cultivation. Matthew is great believer in the life long journey of the continual growth in the Sacred Energy Arts. He currently is learning and training in Brazilian Jiu-Jitsu with Master Jean Jacques Machado. Matthew is based in Malibu, California and travels internationally teaching workshops, intensives, and teacher trainings. "Matthew's teaching deepened and strengthened my practice on so many levels. The rare addition of Qigong has added a profound stillness to my life and is an inspiring, moving meditation. " ~Actress, Minnie Driver Qigong is an ancient Asian system of health and self-development. Slow, circular, repetitive movements invoke a sense of inner peace and relaxation. Learn to cultivate and manage a high grade of Energy. Special emphasis will be placed on intention, alignment, and Taoist "natural breath." This class builds strength, grace and calm. Suitable for all levels. The Qigong practice emphasizes smooth transitions while being simultaneously deeply grounded. Today’s emphasis on Vinyasa flow classes are a great workout, but they miss the more deeply rooted energy that comes from the ancient Yoga practice. The Qigong element will help you tap into that profound energy in a very real way, so that your prana, or life force, is not just some mystical idea, but a real sensation that can be felt here and now. "To understand the immeasurable, the mind must be extraordinarily quiet, still." ~ Jiddu Krishnamurti Meditation is an effective way to reduce stress, calm the nervous system, balance and harmonize destructive emotions, sharpen the senses, and promote glandular and radiant health. This workshop focuses on various meditations from China and India. We will explore lying, sitting, moving, and standing meditations. Practicing in many different positions and with a wide variety of movement builds mindfulness and energy. Using straps, blocks, and blankets for maximum benefit is taught and encouraged. Students are encouraged to take notes and ask questions so that they feel comfortable taking the knowledge learned home to a personal practice. "When I let go of who I am, I become what I might be." —Lao Tzu This class is the next evolution taken from two popular Acacia & Mastadon releases: Yoga Tai Chi Fusion and Tai Chi. Matthew teaches his blend of Yoga and Tai Chi, using breath and intention, stillness and motion. Yoga emphasizes the linear, Tai Chi the circular. Yoga reaches to the sky, while Tai Chi sends roots deep into the Earth. This workshop offers gifts from these great traditions as well as strength, flexibility, grace and power. Tai Chi is the most-practised Martial Art in the world. Its benefits include: grace, balance, stress reduction, increased range of motion, functional strength, body intelligence, bone density and more. The added element of Tai Chi brings a profound intelligence and energy awareness to one's yoga practice. "There can be no transforming of darkness into light and of apathy into movement without emotion." ~ Carl Jung Trauma is the birthplace of destructive emotions. Without proper recognition of these behavioral patterns, we can often regress in our emotional development. That regression becomes the inhibitor of living the lives for which we are intended. Emotions are not meant to be feared but rather to be understood, like markers of a wound that needs to be healed. Fear is a mile wide, but paper thin. By first coming to a place of greater emotional awareness, we can move through the fear, into acceptance, and, finally, begin to utilize the practices that can act as the salve to our emotional wounds. By using techniques from both Qigong and Yoga we will explore meditations, mudras, and other means by which to befriend the dragon that means us no harm. There is language that needs to be learned when teaching alignment. This language is both spoken and unspoken, it is both with touch and without. As a teacher, you are never simply adjusting a posture, you are adjusting a person. People with their own stories, attachments, emotions, and pasts. It is essential to approach each student with great care and awareness. This intensive training fully explores the development of that awareness. I will teach how to trust your inner compass so that you can intuitively care for each individual student. You will learn how read body language, even when the student themselves may not be in touch with what their own body is saying. We will dive into teacher archetypes: The warrior, the sage, the visionary, and, ultimately, the healer as you learn how to lay hands on your students. We will also explore a variety of poses to understand the greater meaning within each posture. As we turn into a twist, it can act not only for detoxification, but also as a look into our pasts. As we practice inversions, we alter not only our physical perspective, but perhaps learn to see other aspects of life through a different lens. In a balance pose, we may explore the many balances and dances that come with life. This intensive is meant to help guide, prepare, and grow not only your personal practice but teach you how to gracefully communicate with your students to meet their needs as they commune with you on the mat. Matthew’s decades of yoga, bodywork, energetic study, and internal martial arts make him uniquely qualified to dive into the depths of each yoga posture from a multi-dimensional approach.